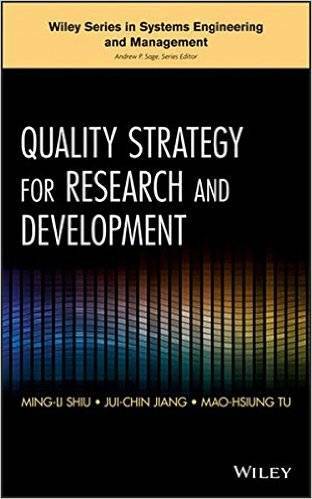 "Quality Strategy for Research and Development" integrates the Japanese and Western perspectives on Quality Function Deployment (QFD), updates the strategy of Robust Engineering (RE), and relates their unique frameworks to current, widely adopted philosophies of quality assurance. Featuring real-world case studies, more than thirty tables, and over seventy figures, this essential guide identifies key issues and proposes improvements in the current R&D paradigm. It offers in-depth coverage of technology development, product planning, and product design and development management. 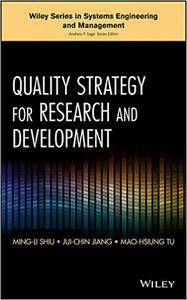 Written for R&D executives, managers, engineers, and quality practitioners, "Quality Strategy for Research and Development" is also an ideal text for professors and students of industrial and systems engineering, technology management, and business administration.